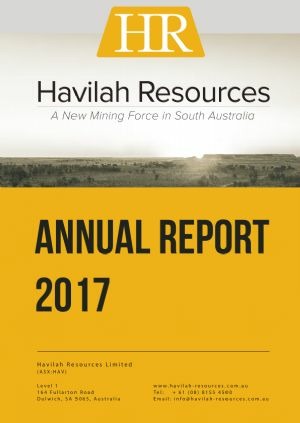 Havilah Resources Ltd (ASX:HAV) has successfully financed and developed its first gold mine at Portia in north-eastern South Australia, which is a high margin operation producing a steady cash flow. It plans to follow on with two copper-gold developments that can potentially support an initial production of at least 34,000 tonnes of copper and 105,000 ounces of gold annually. 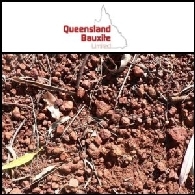 This is underpinned by a JORC minerals resource inventory of over 900,000 tonnes of copper and 2.4 million ounces of gold. 오늘 ABN Newswire의 관심주는 Marion Energy Limited (ASX:MAE), Texon Petroleum Limited (ASX:TXN), Magnetic Resources (ASX:MAU), Image Resources NL (ASX:IMA) (PINK:IMREF), Pacific Enviromin Limited (ASX:PEV), Krucible Metals Limited (ASX:KRB) and Havilah Resources NL (ASX:HAV)입니다. 오늘 ABN Newswire의 관심주는 Atlas Iron Limited (ASX:AGO), Galaxy Resources Limited (ASX:GXY) (PINK:GALXF), Carpentaria Exploration Limited (ASX:CAP), Brickworks Limited (ASX:BKW), iSOFT Group Limited (ASX:ISF), Iron Road Limited (ASX:IRD), Havilah Resources NL (ASX:HAV)입니다. 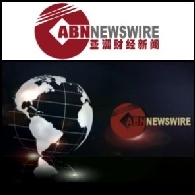 오늘 ABN Newswire의 관심주는 Galaxy Resources Limited (ASX:GXY) (PINK:GALXF), Otto Energy Limited (ASX:OEL), Australian Bauxite Limited (ASX:ABZ), Coalspur Mines Limited (ASX:CPL) (PINK:CSPZF), Havilah Resources NL (ASX:HAV), Fufeng (HKG:0546) (OTC:FFNGY)입니다. 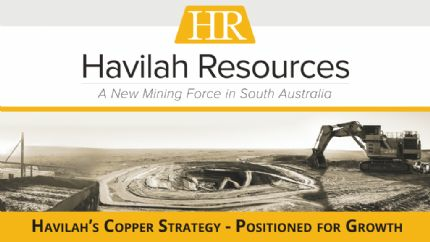 오늘 ABN Newswire의 관심주는 Galaxy Resources Limited (ASX:GXY)(PINK:GALXF), Image Resources NL (ASX:IMA) (PINK:IMREF), Havilah Resources NL (ASX:HAV), Drillsearch Energy Limited (ASX:DLS), Beach Energy Limited (ASX:BPT) (PINK:BEPTF)입니다. Linc Energy Limited (ASX:LNC)(PINK:LNCGY)은 영국의 연료전지 업체 AFC Energy Plc (AIM:AFC)(PINK:AFGYF)(런던 대안투자투자시장(AIM) 상장업체) 및 그 제휴업체 B9 Coal과 독점 계약을 체결했다. 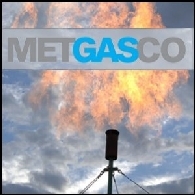 이번 계약으로 Linc Energy는 지중석탄가스화 기술(Underground Coal Gasification (UCG))로 생산되는 수소에 대하여 AFC 연료전지기술을 테스트할 수 있는 독점적 권리를 가지게 되었다.